A banner alert for notifications is like the Robin to our iPhone's Batman—they're taken for granted and don't really get the recognition they deserve. Yes, they can be disruptive at times, but just like Robin, they can be necessary for getting things done. I can't count the many instances where banner alerts provided friendly reminders of a bill that may be due or an important text needing a quick reply. And since they're so important to me, I'd like to make them look and function better than they already do. I've already shown you how to slim down banner alerts, which makes them less intrusive when playing games. Now I'm going to show you how to identify banner alerts without actually reading or looking too hard. 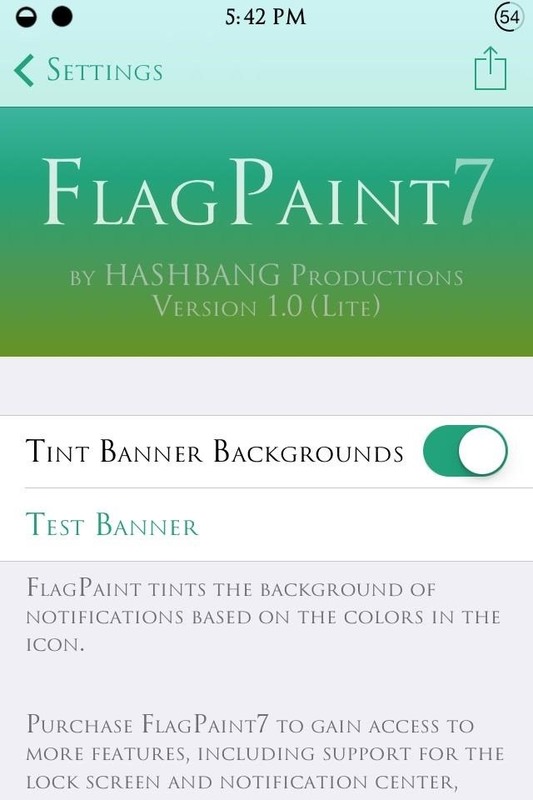 FlagPaint7 Lite is a free Cydia tweak that tints the banner in line with its corresponding application's icon color. It helps quickly identify the notification type, just in case you can't read or see the corresponding icon in the banner. 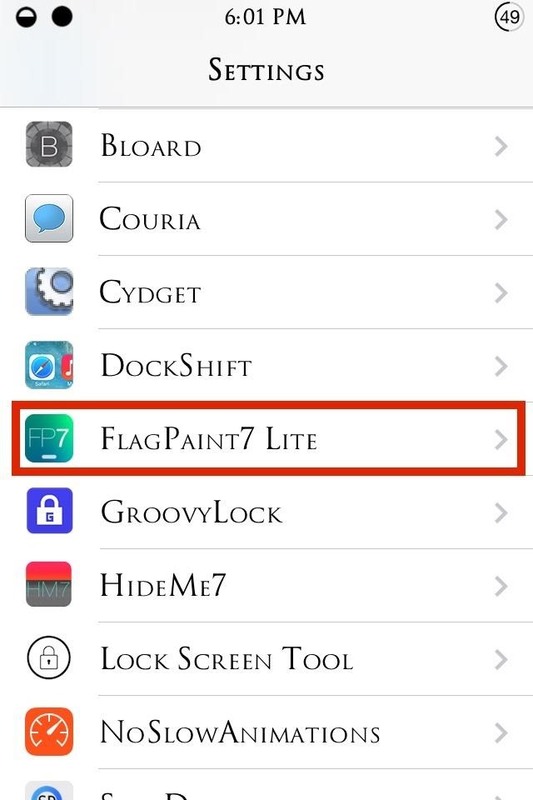 To get this started, jailbreak your iOS 7 device (if you haven't already), head into Cydia, then search for and install FlagPaint7 Lite. Just a few simple clicks and we'll be all set up. Make your way to the Settings app on your iPhone, locate FlagPaint7 Lite, and enable it toggling "Tint Banner Backgrounds." To get a quick preview, just select the Test Banner option. This isn't a huge tweak that makes monumental changes to our iPhones, but it's an important one that many appreciate, especially when it makes banners a little more dynamic while offering us at-a-glance information. Have a Custom Icon Theme? 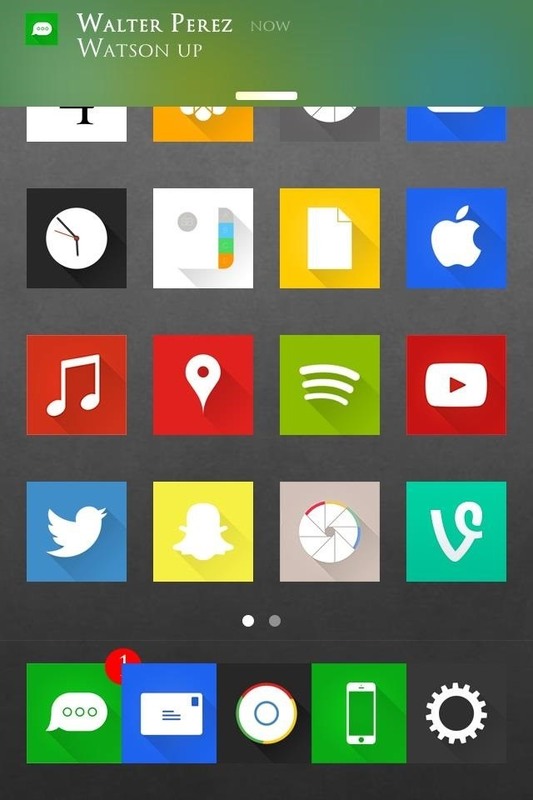 Fortunately, my WinterBoard theme was supported by FlagPaint7 Lite, but in the case that yours isn't, FlagPaint7 Lite will revert the colors to the default iOS 7 icons. For a mere $0.99, you can acquire the paid version, FlagPaint7, and get some cool extra features, like enlarging the icon or hiding certain banner features. Personally, I'm cool with the simple color tint, which is free. Are you referring to the icons? Thanks so much. Yes I am jail broken and going to download now. plzz tell me the font name !! !